I'll admit, I'm partial to this Treasury. 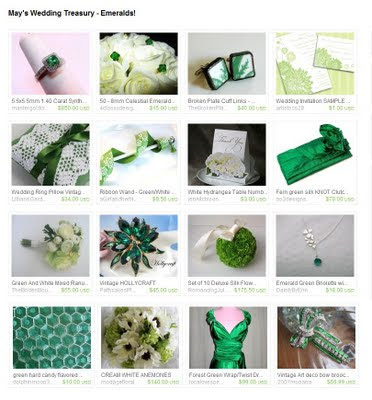 May is my birth month and I Loooove the beautiful emerald items included in this Treasury. 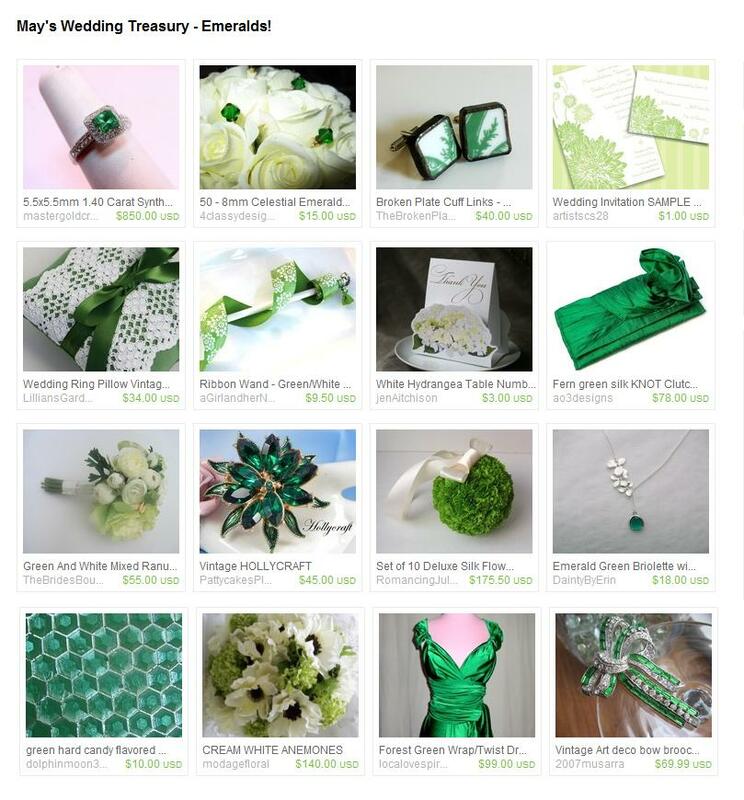 May's Wedding Treasury - Emeralds! This Treasury is FULL of beautiful items. Thanks to Suite Blooms & Designs for including my Green/White Flower Burst Ribbon Wand!